Yes, green tea makes you lose weight. No, having it in the form of ice cream or noodles does not count. Neither does wearing green tea perfume. Or dropping green tea scented bath bombs in your ‘tub. That’s because the weight-loss benefits are in the epigallocatechin gallate (a.k.a. EGCG, a health-boosting antioxidant) found in green tea. Not the green tea flavour. A fact that makes you wonder what other myths surround this potent superfood? Like whether green tea extract is effective? Or whether temperature affect its potency? Time to round up the health and wellness experts to spill the real scoop. Green tea vs black tea: Why does it matter? To begin with, all kinds of tea – black and green – are picked from a leafy green shrub in the same family as Camellia plants (Camellia sinensis). However, to make black tea, the new leaves are fermented and cured. This breaks down most of its active compounds. Green tea, on the other hand, is prepared by lightly steaming the leaves after picking. This not only preserves the active compounds, it also destroys the enzymes that would break them down rapidly. Green tea has been used for centuries in traditional Chinese and Ayurvedic medicine to facilitate digestion, help heal wounds, promote heart health, stabilise blood sugar, improve digestion and boost mental function. 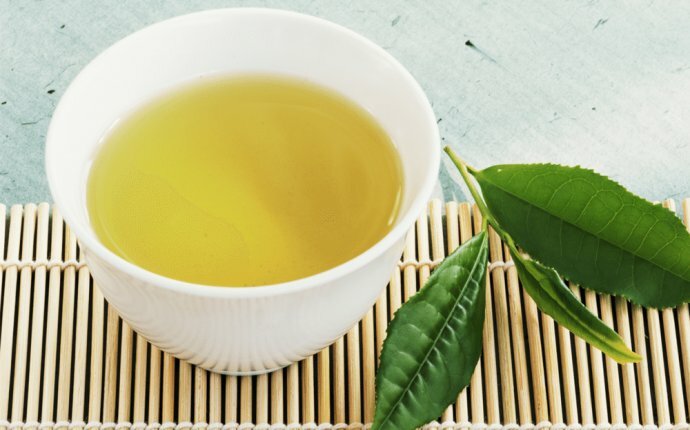 Now, this ancient tradition also has a strong scientific grounding with thousands of studies proving that green tea contains antioxidants (that are up to eight times more powerful than vitamin C) and other substances that help lower cholesterol and protect against cancer, heart disease, diabetes, gum disease, and bacterial and viral infections. It also helps calm the nervous system by reducing levels of the stress hormones Cortisol and epinephrine, while countering the toxic effects of smoking. What about weight loss? Is there any science behind this claim? Yes. Several actually: green tea has been shown to inhibit lipolysis, the process by which dietary fats (triglycerides) are broken down in the body. Inhibition of the breakdown of triglycerides prevents absorption of the fat, thereby ensuring you don’t gain much weight. Besides this, the catechins in green tea inhibit an important enzyme – catechol-O-methyl transferase (COMT) – that speeds up the metabolism, thereby stepping up the calorie burn. Do you get the same benefits with flavoured green teas? The addition of flavours like pomegranate, apple, cranberry etc do not reduce the benefits of green tea. However, if the flavouring includes sugar, the additional calories will certainly cancel out the green tea’s weight loss potential. What about iced green tea? Chemically speaking, there is no difference between hot green tea and its iced version. However, keep in mind that iced teas are usually over-diluted with water, which impacts their effectiveness. Does the brand or variety of green tea matter? Matcha: The green tea leaves are ground into a fine powder, which you can whisk into water for tea. Since you consume the actual leaves, you get more antioxidants than from other green teas. Hojicha: Made from green tea leaves that are roasted until they’re dark brown. Because it’s picked at the end of the season and roasted at a higher heat than other teas, hojicha contains lower levels of caffeine. It won’t really spoil but the fresher the better. Loose tea and tea bags usually hold their antioxidant potency for up to 6 months. What’s the best way to brew a cup of green tea? How much green tea should I have every day? According to scientists, the optimal “dosage” is 3-5 cups of green tea daily. If I’m not in a “tea mood, ” will a green tea extract do the trick? Yes. In fact, depending on the concentration of the formula, 1 ml of green tea extract can equal the benefits of drinking 8-10 cups of antioxidant-rich green tea.